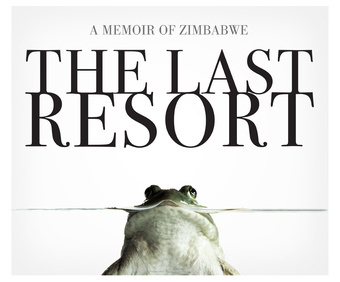 Today in the Gawker Book Club: starting now or so, Douglas Rogers is joining us to discuss The Last Resort, his new memoir about Zimbabwe. Asking him questions in comments is novelist, playright and screenwriter Damian Lanigan. Douglas currently lives in Brooklyn and writes regularly for Travel & Leisure, the Daily Telegraph and the Guardian, and once attempted to explain cricket to me over beers. Damian, who also lives in Brooklyn, has the novels Stretch 29 and The Chancers and the BBC comedy series Massive. And we ate like kings. There was more than marijuana growing in those former flower beds. I discovered now why my parents looked so healthy. There was a famine looming in Zimbabwe in early 2005, but if you could eat avocados you'd never go hungry in this neck of the woods. Every few days, scores of young black traders would make their way down from the orchards in the surrounding mountain valleys with huge burlap sacks filled with bananas, oranges, lemons, pawpaws, mangos, and avocados. Mostly avocados: smooth green oval- shaped gems the size of baseballs. The traders would wait at the bottom of Christmas Pass for transport to Harare, 180 miles to the west, where they hoped to sell the fruit at market, but there was no fuel, and the buses weren't running. Instead, they'd just sit for days, sleeping by the roadside, while their crop rotted away in the sun. My father was outraged with this state of affairs. These were innovative, hardworking young entrepreneurs, trying to make a living. People were starving in Zimbabwe, yet here mountains of food rotted away. The state couldn't even get buses to work. My parents had already begun growing most of their own vegetables, but now they started buying what they didn't grow from these informal traders, and it helped account for their excellent health. They ate fruit salads every morning, drank fresh- squeezed lemonade during the day instead of Coke or cordials, and cooked elaborate meals at night from recipes they got watching the Naked Chef, Nigella Lawson, and Anthony Bourdain on their new satellite TV. I told them I never ate half so well back in Brooklyn, and we decided one night they needed a Food Network show of their own, with a cookbook tie- in. We came up with a title. It would be called Recipes for Disaster: Adventures in the Kitchen of a Failed State. In it they would be filmed buying produce from those informal traders on the road, asking them about their lives, how they got those heavy bags down the mountain. Did they own the orchards or steal the fruit? My parents would also have to be filmed buying food from the new farmers in the valley who were trying to make a go of it. "Oh, Christ," said Mom. "Will I have to jump up and down chanting ZANU- PF slogans in exchange for a maize cob?" My father loved the idea. "Yes, Rosalind, I can see you doing that. And just think of the appeal to a Western audience: ethnic dancing and an organic maize cob. These buggers have no fertilizer." Another episode, we decided, would be dedicated to the miracle of Zimbabwean cheese. My father had discovered that due to a shortage of one vital ingredient (or perhaps the loss of skilled staff), the usually tasteless Gouda that the state Dairy Marketing Board manufactured had now turned into a delectably rich and creamy Brie- as tasty as anything you might find in Provence. He bought several wheels of it at a time at the DMB ware house in Mutare, worried that they might discover and correct their mistake and it would go back to tasting awful. Finally, we decided that each episode would show them cooking up some masterpiece on that gas stove by candlelight on the kitchen floor during a power outage. "We need more atmosphere," I told them. "A sense of place." "I know," said my mother, warming to the theme. "We could fire up the generator and eat each meal in front of the TV, watching a speech by Mugabe ranting about us ‘white imperialist running dogs of capitalism,' or the ‘homosexual government of Tony Blair.'" "You know what?" Dad guffawed. "It could work. I reckon that Anthony Bourdain chap would come out here and present it. He goes to some really wacky places." My mom's eyes lit up at the thought of the dashing Kitchen Confidential star coming out to visit them. You can find more information on The Last Resort, on Douglas' site, including where to buy it. If you're an author or a book publicist and you want to participate in the Gawker Book Club, send me an email.